I know what you are thinking.....What does this have to do with fashion? Well here's the thing. Mostly, this blog will be things I create based on a certain fashion inspiration. 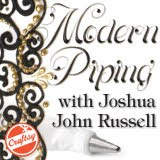 But, sometimes I get to do a project that I love and just have to share. So this post is mainly inspired by pop culture! A couple weeks ago my friend Candace asked if I would make her son's first birthday cake. His name is Major!...best name ever! Of course I said yes; especially because she wanted to create a "Little Man" birthday party with a mustache theme. Done! I have always wanted to make a mustache cake. Weird. I know! But true. So let's look at some pop culture references shall we. 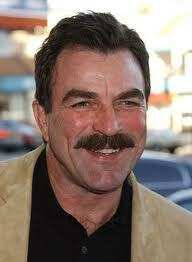 See, lots of celebrities grow mustaches. It seems to be a fashion trend from time to time. 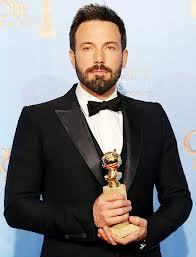 Newly Oscar'd Ben Affleck...sporting both mustache and beard...thank you Ben. Wasn't it Clair Huxtable who said you can't eat cake for breakfast?? I disagree! I bought this Black Onyx cocoa powder in Austin when I was out there judging the Austin Cake Show (www.thattakesthecake.org) and I want to use it to "age" this cake. I made the marks with the gumpaste tool for added drama. I want to be Jackson Pollock when I grow up!! Now for the staches!!! I am going to cut most of them out by hand but you can use a cutter. There are many on the market. Here is another one. I use the same tool to add texture. Oh I am doing a whole blue and brown thing.....forgot to mention that. Looking good. I am gonna add some frames as well but I want to get started on the other treats. It doesn't have to be perfect, just follow the lines and have fun!! Here it is. Here's another fun treat. I love to make caramel corn. So I have decided that bags of this sweet popcorn will be favors for peeps to take home. 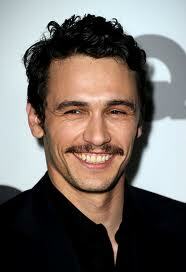 But we have to "stache" it up a little! Okay let's finish the cake. I added a couple frames with this purple fondant. It can be any color because I am going to paint them with black food coloring for a shiny look. Purple is just what I had to get rid of! So here you can see the purple and the black. The frames were just cut and molded by hand. And here are some shots from the party! So a big thank you to my friend Candace for letting me go wild! And a super HAPPY BIRTHDAY to Major!! !